To celebrate the launch of our brand-new website (thank you to Pixel Debris and Coco Wedding Venues), we will be creating an ‘Everything You Need To Know About Pynes House‘ blog series. 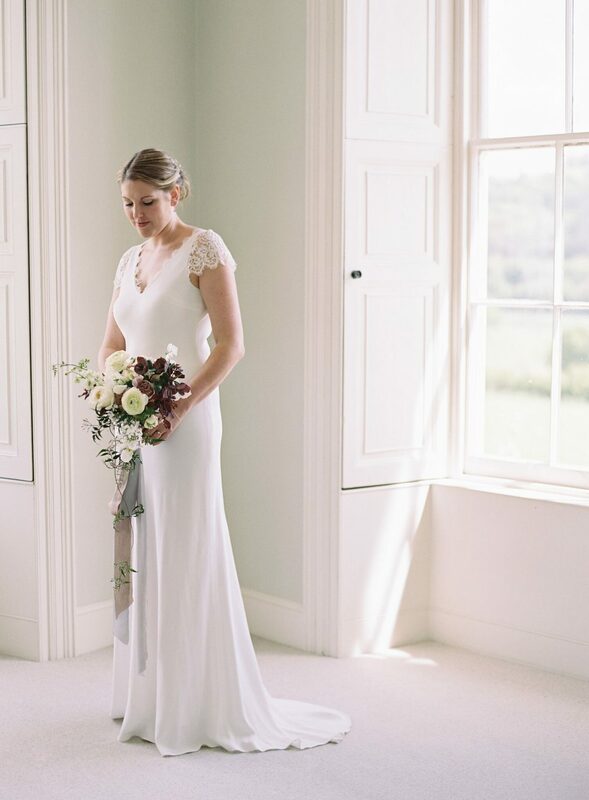 We’ll be taking you through every aspect of our country house wedding venue in Devon, so you can really discover everything we have to offer for your celebration. 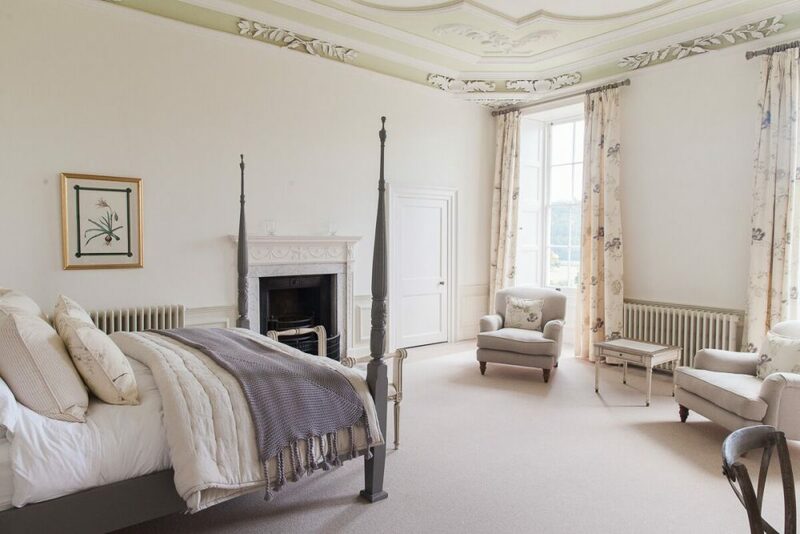 We love nothing more than welcoming you and your guests to Pynes House for a weekend of celebrations and there’s something quite magical about seeing everyone relaxing and settling in before the event begins. You can wander around the estate at your leisure while enjoying the views of the Devonshire countryside, or sip cocktails outside and soak up the sunshine. Whichever way you choose to spend your time at Pynes House, we promise it will be memorable. We like to think of Pynes House as a home-from-home. Somewhere you can relax and unwind in total luxury. 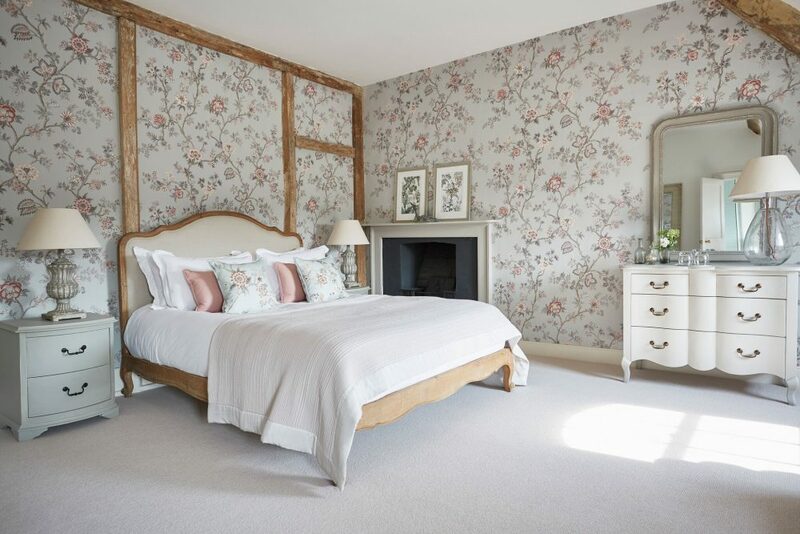 We have twelve bedrooms, each has been individually designed with its own charms. 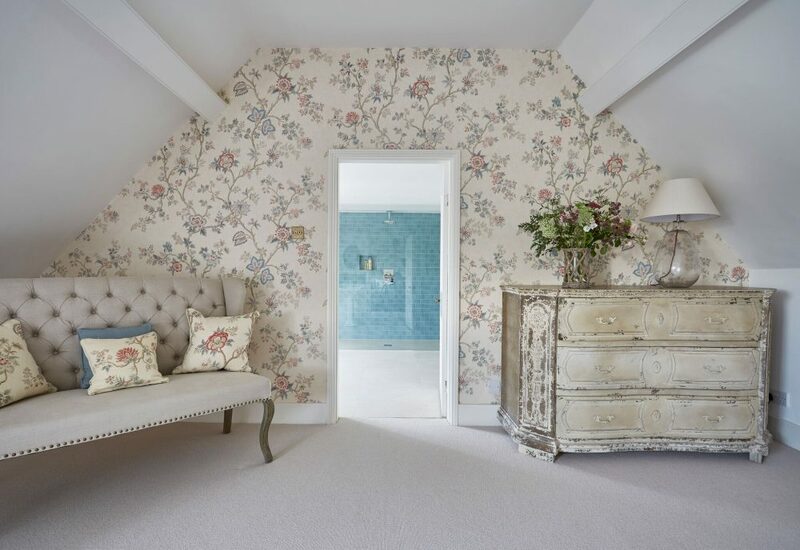 Our Bridal Suite has a classic yet contemporary style with a touch of femininity. 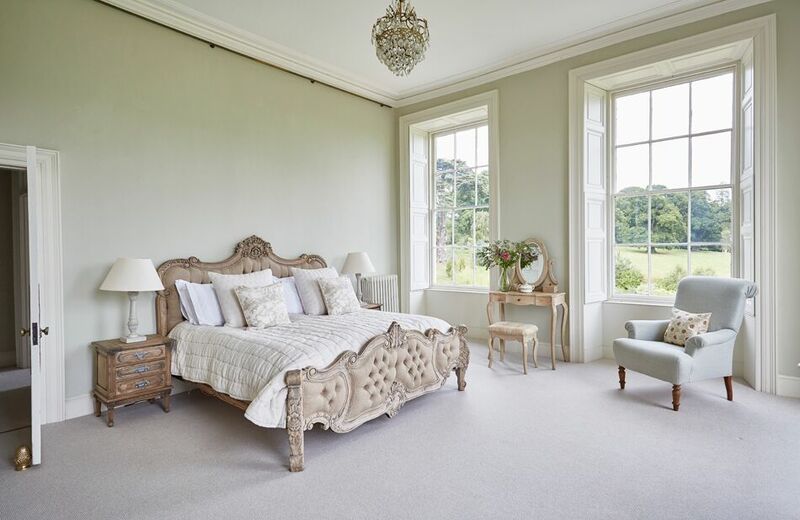 It features a four-poster bed with a stunning outlook across the estate, as well as lots of space – making the Bridal Suite the perfect place for you and your ‘maids to get ready on the morning of your wedding. The majority of our couples opt for Northcote or Copleston on the first floor as their room to retreat for the night, so you really will be spoilt for choice. 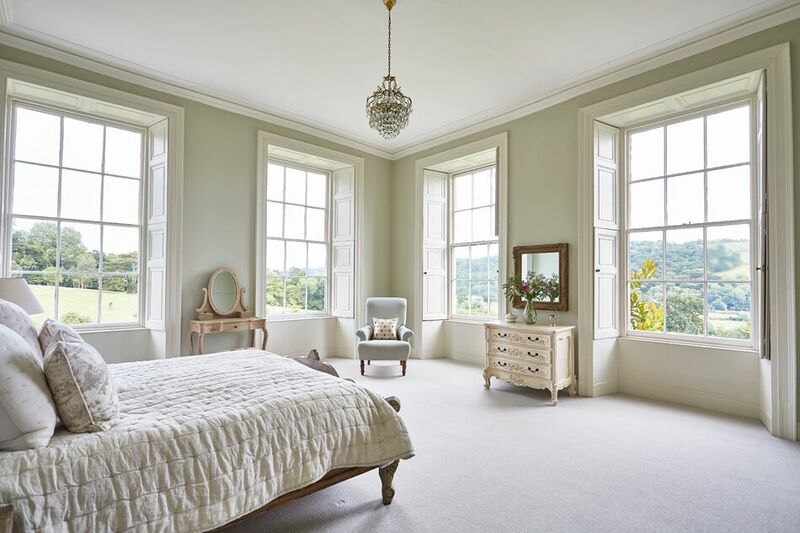 The Northcote is the original Master Bedroom of Pynes House, boasting an ornate ceiling, a roll top bath in the large en-suite and a floor-length mirror. With views over the fountain and our rose garden, you will feel utterly relaxed and at home. 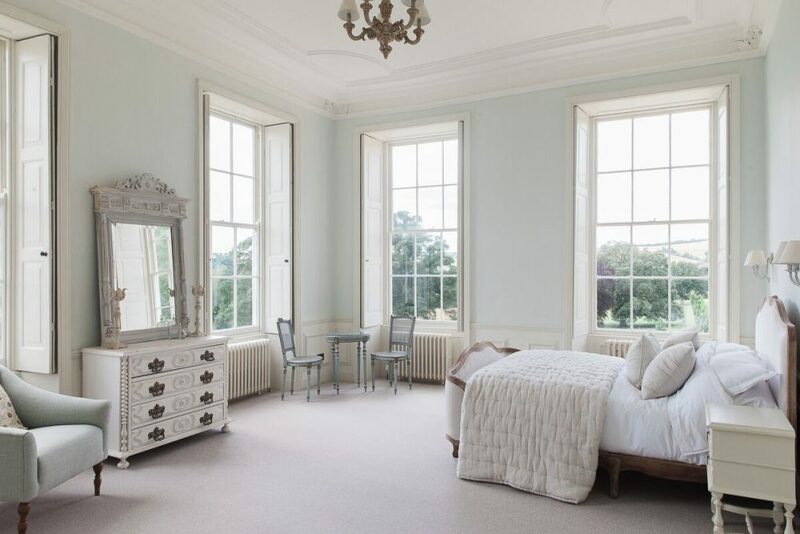 As one of the original guest bedrooms, the Copleston has been host to a Prime Minister and a Prince in the nineteenth century – you can read more about the history of Pynes House here. It boasts double aspect views, making it a beautifully light space. It also has a roll top bath in the en-suite and a floor-length mirror. 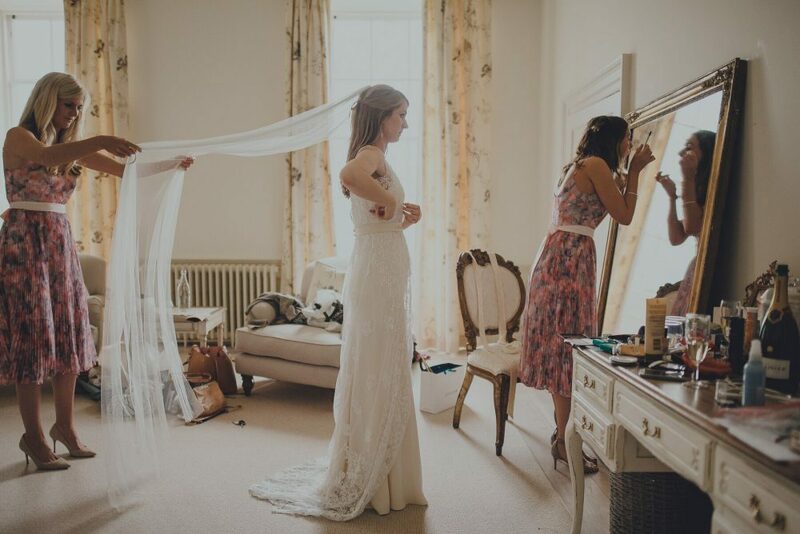 Our grooms often stay in a room on the second floor the night before the wedding, meaning the bride will be getting ready on the first floor. Grooms often opt for the Chambers or Tilley. 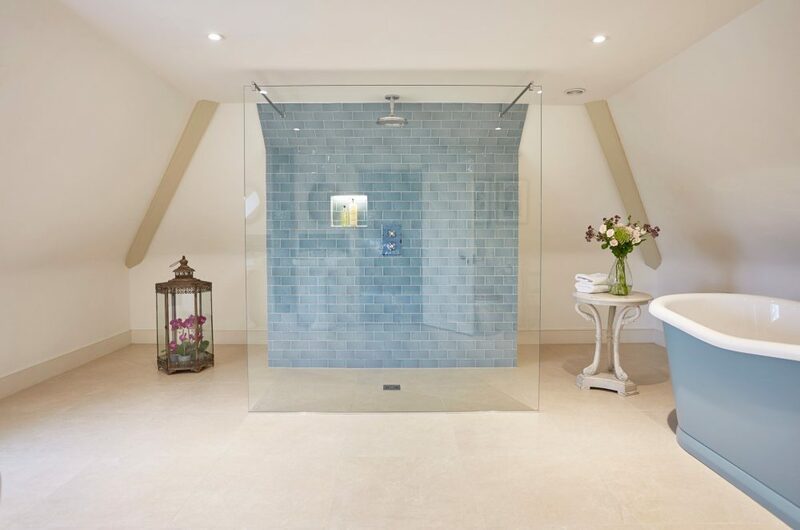 The Tilley has a huge bathroom with a wow-factor shower and a roll top bath. The Chambers has a balcony where you can enjoy a coffee overlooking the valley, an idyllic way to kick-start the celebration. Traditionally elegant with a contemporary touch, your loved ones will adore staying in our sumptuous rooms. 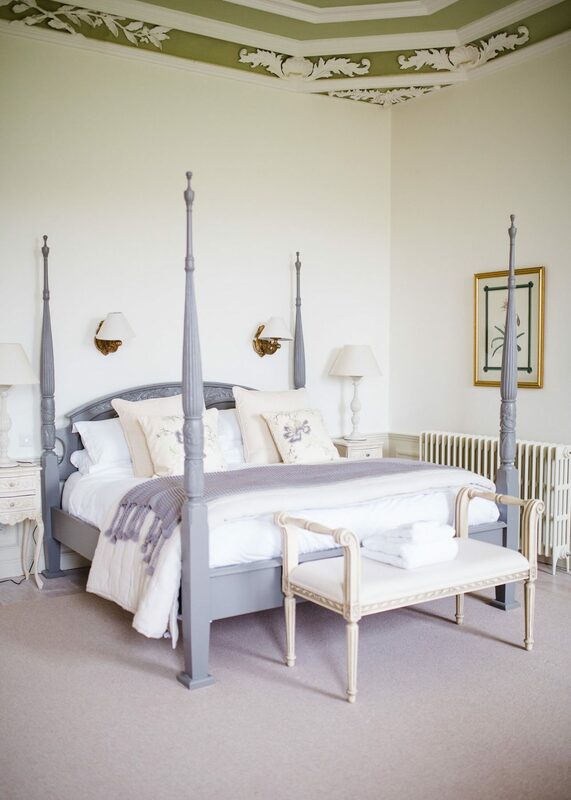 They will be spoilt with comfortable beds, goose down duvets and handpicked furniture throughout your event. Make a weekend out of your wedding – guests often arrive on Friday afternoon and enjoy long brunches in the sunshine or indulgent lunches. We can’t wait to welcome you and your friends and family to Pynes House. You can find out more about our magnificent Devonshire wedding venue here! Make sure you keep your eyes peeled for the next instalment in our series.